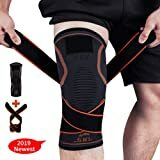 Sold by Itmall and Fulfilled by Amazon. Gift-wrap available. WATER REPELLENT- Mades of waterproof eco-friendly fabric material,which obstructs water and vapor effectively. 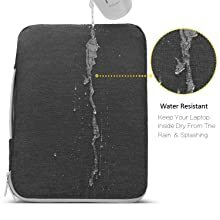 Don't worry about getting your laptop computer and accessories wet from splashing water or rain. 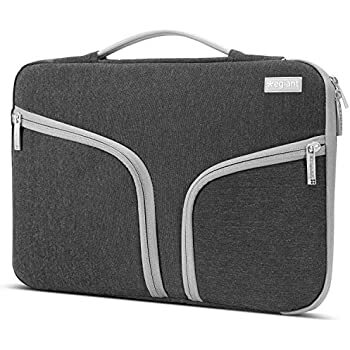 The splash-proof exterior is easy to clean and helps keep the laptop sleeve in a pristine state for a long period of time. 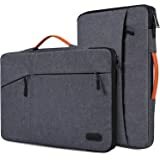 FRONT TWO POCKETS STORAGE & DURABLE ZIPPER - Two pockets in front of the laptop case handbag,enough space to keep mouse, cable, cellphone, memory cards, external hard drive, pens and other laptop computer/mobile phone accessories. offering added convenience. 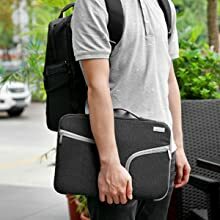 FULL PADDED PROTECTION: the durable notebook case features shockproof soft lining with foam cushions which can effectively absorb impacts and reduce damages caused by accidentally bumping or drops, and protects your computer from scratches, meantime provideing extra room for charge books, documents, etc. HANDLE & ESAY TO CARRY - Comfortable and sturdy handle which mades with quality leather material especially for long time carry when you are tired to carry as a sleeve. 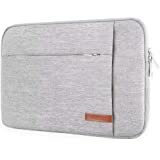 The zippers on the side of the computer sleeve glides smoothly and allows convenient acccess to your laptop. 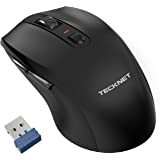 LIFETIME WARRANTY from Egiant! 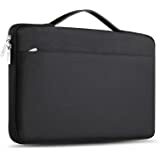 DIMENSION & COMPATIBILITY: Interior dimentions: 15.9”(L) x 11.2”(H) x 1.3”(W),405mm x 285mm x 35mm.It fits for Chromebook 15,Acer Aspire E5,Asus VivoBook/ROG and 15.6 inch laptop series,HP Pavilion 15 ,Samsung notebook 9 15.6 inch,Dell Inspiron 15.6,Lenovo IdeaPad 110/700/510,and most other 15 to 15.6 inches notebook ultrabook.It may not snugly fits all computers due to variations in the sizes of different models. Sold by Itmall and ships from Amazon Fulfillment. 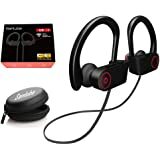 Sold by Red.US.STORE and ships from Amazon Fulfillment. 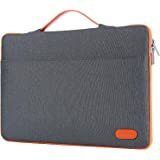 Egiant bag sleeve case with Simple and stylish style is specially designed for most of 15-15.6 inch laptops chromebook & notebook computers with strong sense of line design and texture twill. 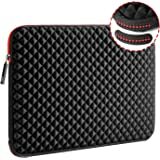 It provides a full range of protection for your laptop and accessories from dust, scratches and accidental drops. 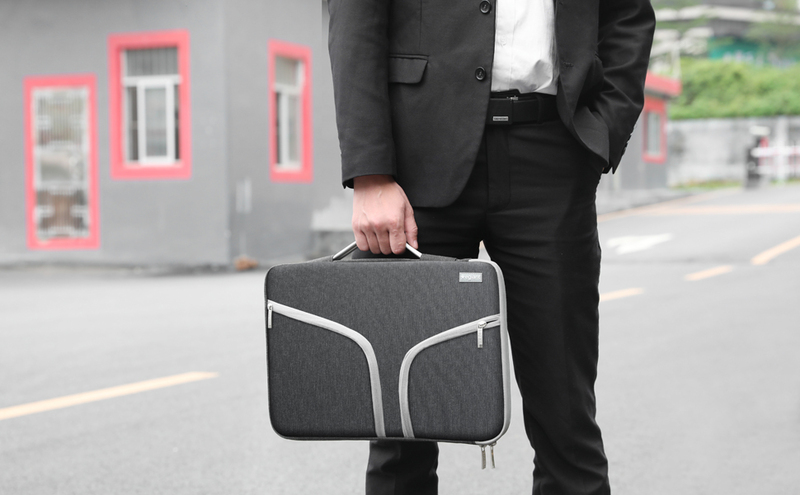 Lightweight with innovative design, it is easy to carry and convenient for daily use. 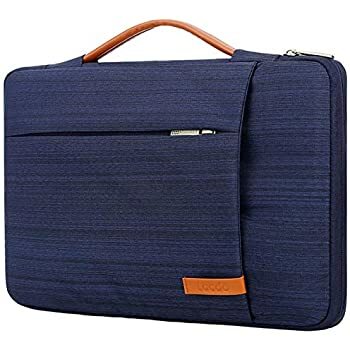 This Egiant protective laptop sleeve bag is made from premium environment-friendly water repellent canvas fabric material, slim, light weight, which is very durable, not esaily broken. 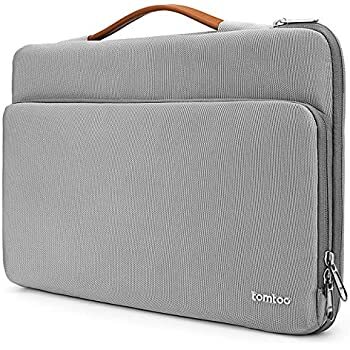 The exclusive trendy design also gives your device the most functional yet fashionable look, and enables you to carry your laptop in a uniquely sleek style. It can be perfectly used for both business and leisure, stylish and decent in appearance, you will be delighted with our bag. Please check the dimentions carefully before purchase. 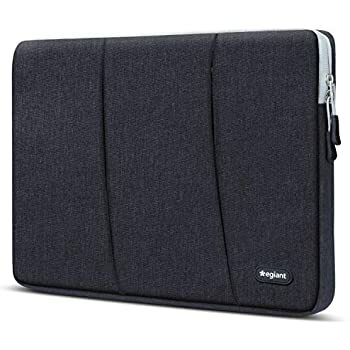 This Egiant laptop sleeve is specially designed for most of 15-15.6 inch laptops. External Dimensions: 16.5 x 11.7 x 1.2 inches (L x W x H). Please check your device dimensions against the case internal dimensions to ensure preferred fit. 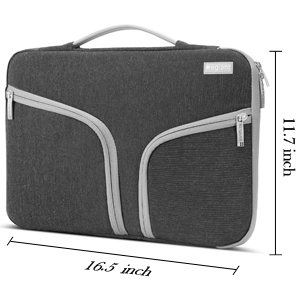 The big sleeve bag enables you to carry your MacBook / laptop / notebook / Ultrabook computer in a uniquely sleek style. 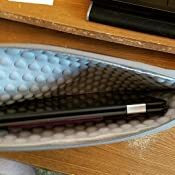 The extra pockets in front,it contains two smaller compartments for extra storage,enough space to keep pens, cables, chargers, power bank ,mouse and other laptop computer/mobile phone accessories. 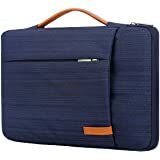 The laptop sleeve case with the water-resistant material protects your laptop against water, dust, dirt and scratches. no more worrying about accidental spills. 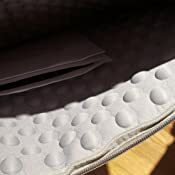 Inner soft foam cushions provide your laptop/tablet with 360°all around protection without adding any weight; totally protects your device against scratches, dents, bumps and shocks. 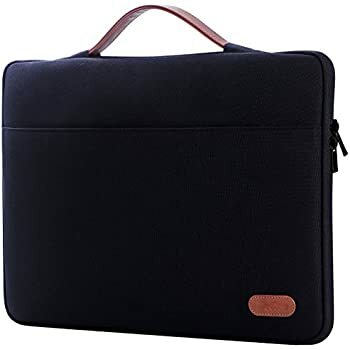 Top extendable handle design enables you to carry your laptop around easily, or you can tuck away the handle for sliding into your briefcase, backpack or any other bigger bag; Ideal for business, school and travel. 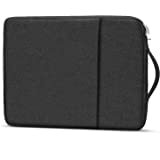 I bought this sleeve for an Acer Chromebook, and it fits well and is well proportioned and padded. Why my confusion in rating? The front pockets are so small, they cannot easily hold the power cords without bulging to the breaking point! Thus, I'll need to carry them separately. The pockets will hold a small mouse. So, it works as a protective sleeve but not really as an effective carrier. It might as well not have pockets. 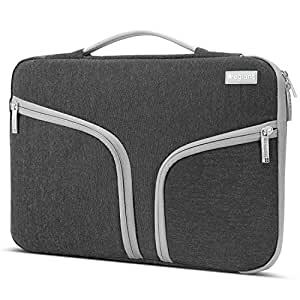 I'll be looking for a small pouch to hold the cords that will squeeze into the case. 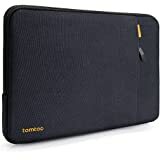 I bought this sleeve for my Samsung Chromebook Pro and have been using it for a few weeks, and I love the sleeve so far. The material feels very high quality, and I love the shockproof bubbles in the case, which are unfortunately not found on many cases. The pockets in front are also useful. 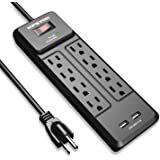 I keep various adapters to connect it to different display ports and to plug my USB-A drive into the Chromebook, and I will also keep my phone charging cable and wall outlet in the pockets when I am traveling with just the Chromebook. 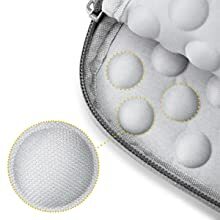 Overall, this is a great, high quality case, with added shockproof bubbles to help protect your device and two nice pockets to store additional accessories. 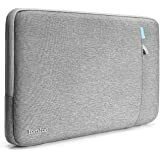 I have not had to test this case yet but will update this review if I ever accidentally drop my Chromebook or anything while it is in the case. 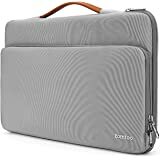 Overall, I would highly recommend this case if you have a 12-13" laptop or similar device you need to keep protected and safe. I use this case for my iPad Pro 11" tablet. I wanted a case with extra pockets to put the charger and my art glove in them. 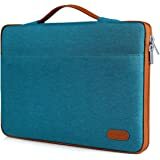 I feel that my iPad is safe from short drops and a little bit of pressure, but I wouldn't buy this if you're looking for some kind of super-protective-military-grade case. 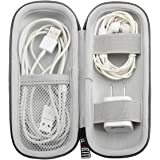 I use this case every day, have travelled with it, and I feel comfortable saying I don't regret my purchase. The zippers are annoyingly noisy when you move the case. The pockets are a little small, but my charger fits in the bigger pocket and my glove in the smaller one. I've been using this every day for a few months for my samsung notebook 9 pro. 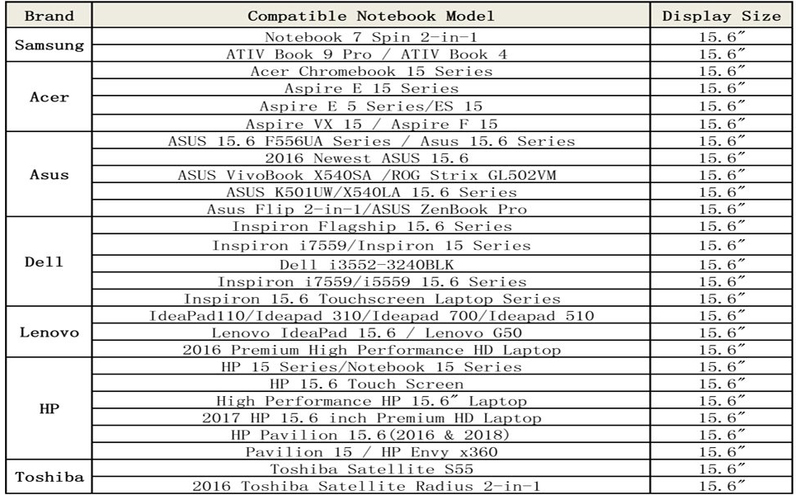 It is a bit loose for my laptop, but that hasn't really been much of an issue. 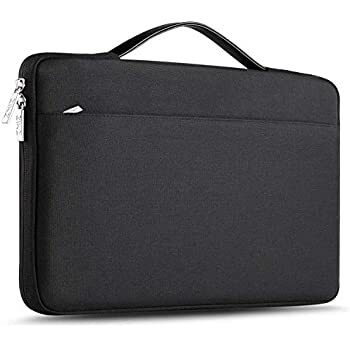 I think this case is pretty good at protecting my laptop, especially from impacts to the top and bottom of the laptop. 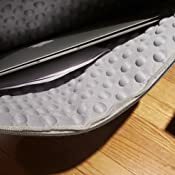 I do wish the sides of the sleeve had the bumpy texture the same way as the rest of the case, as I think that would help protect from impacts of the laptop being dropped on its sides. 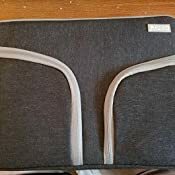 I got this sleeve for use inside a backpack. I just wanted an extra layer of protection. It works well. I am a little concerned about how long the zippers will last, but so far, so good. Sleek, sturdy, well padded. 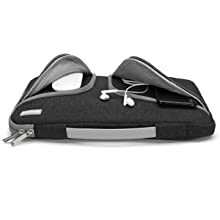 Room for power cord and earbuds in side pockets. Like the sharp look and large pockets. Disappointed that the padding is missing on all the small sides (edges). If I was to drop the case it would probably fall straight and hit on the un-padded sides. I will be adding padding to these sides.